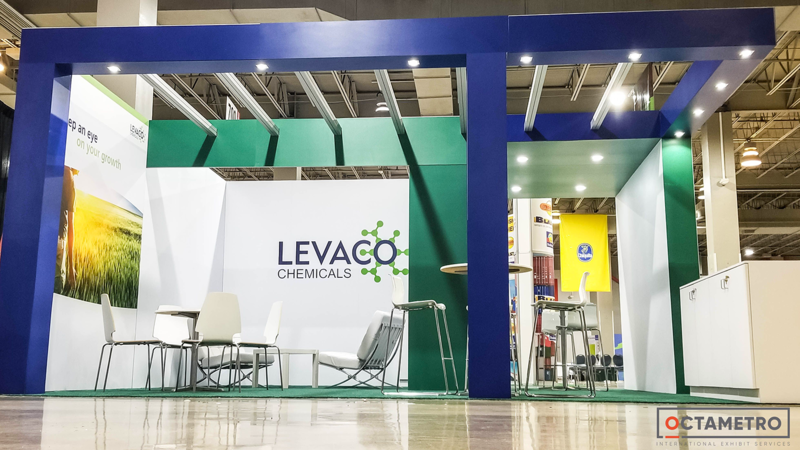 Levaco Chemicals, an important Belgium agricultural chemicals company, was participating in the Corbana trade show geared towards the banana industry and commercialization hosted in Miami, FL annually. 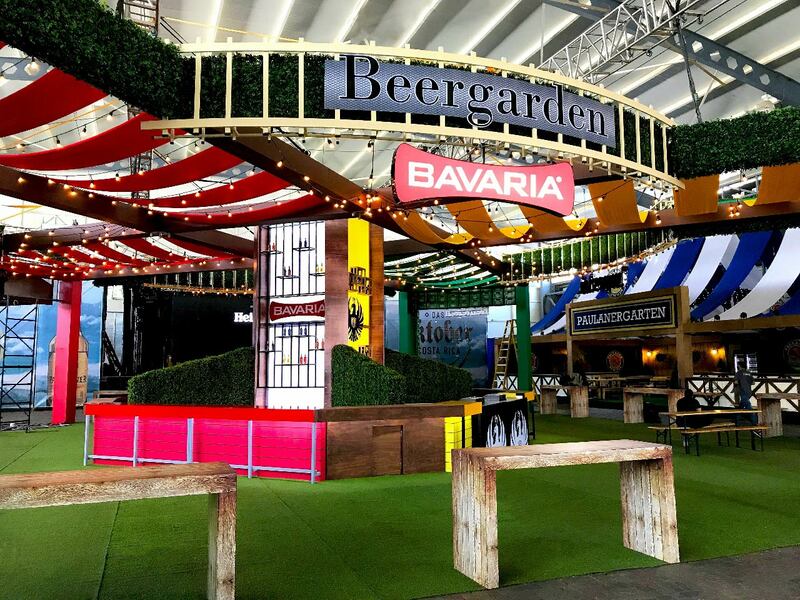 They originally gave us a design which they had already sketched but when we received the request for the 10×10 space, we noted there was a column placed right in the center of the stand due the organizer’s who’d misplaced their space assignment. 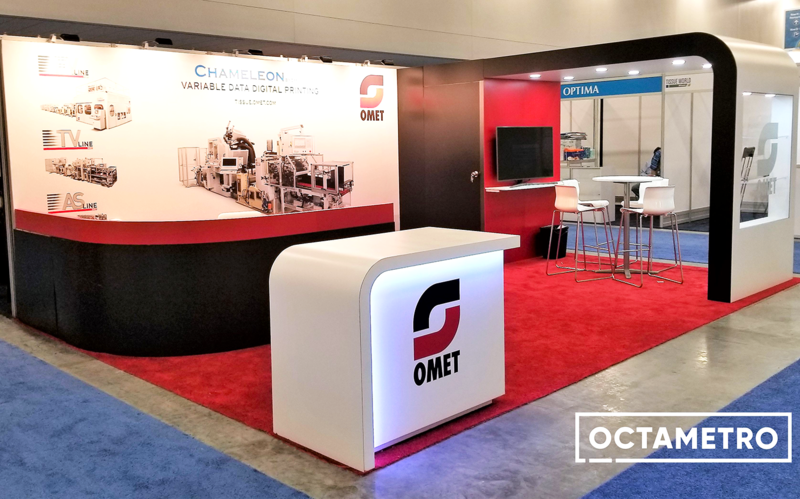 In a 10’x 10′ stand you need to take advantage of all the space in the most efficient way, so we solved the problem of the column by getting the organizers to locate the booth in another area of the exhibition hall which the client was very happy about. 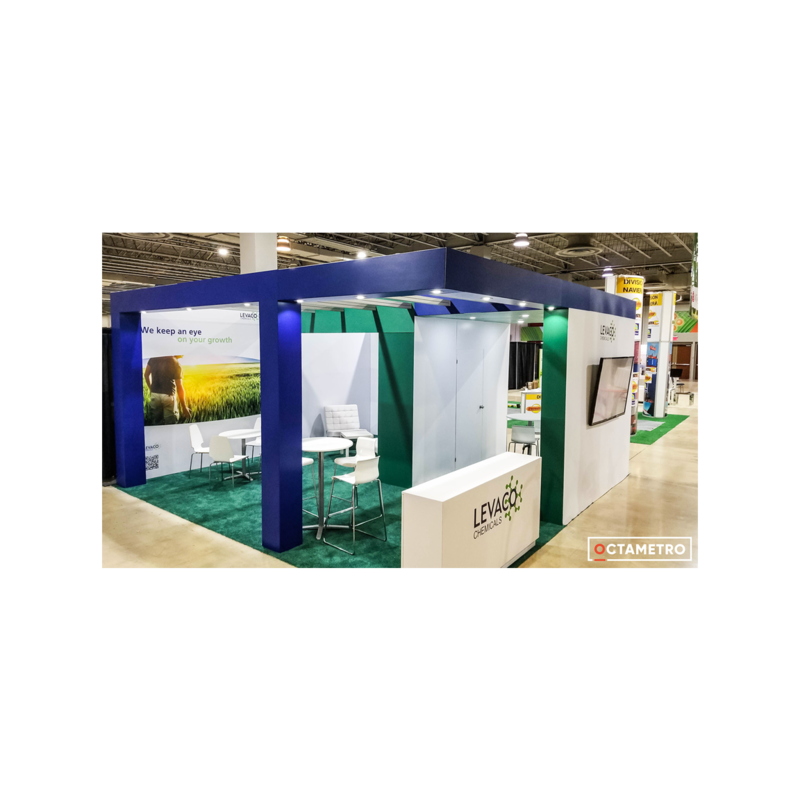 In this way we were able to use the 10’x10′ space to make a semi-private area and another private one room for meetings with clients, maintaining a cleaner and freer image of elements that don’t interrupt the circulation inside the stand which gave a better presentation.